So finally managed to make time to get some 'face of the day' pics! 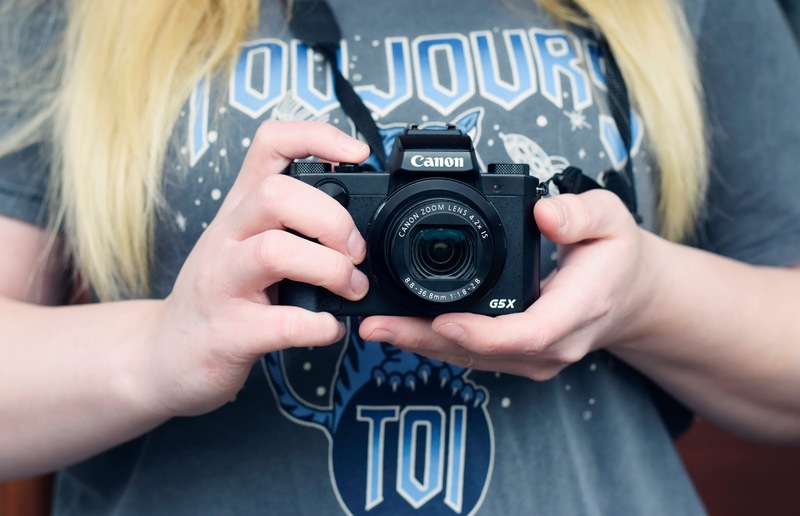 I hardly ever get 5 minutes to blog anymore because of Uni and work but I'm so glad I got around to taking some half decent blog photos for once! 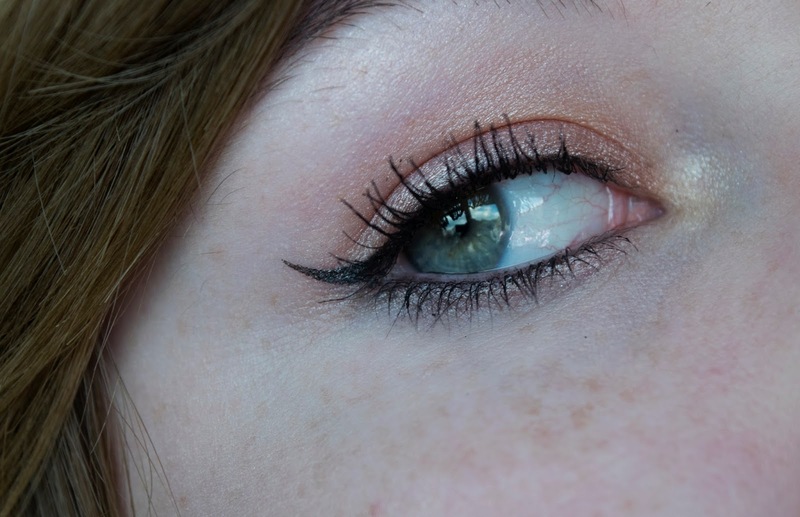 This is a really basic look I wore for college one day and I really loved the colours so I thought I might as well write about it! So I'll start with the boring part which is my base makeup. 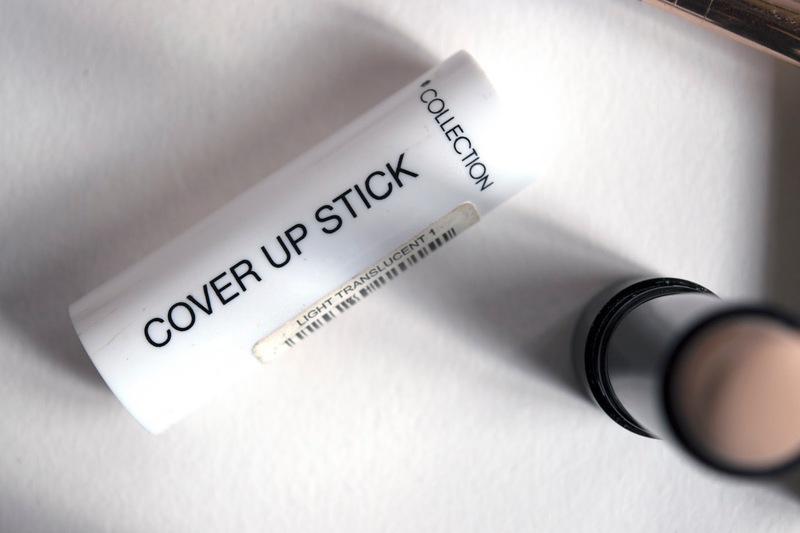 I don't wear liquid foundation anymore because I like my skin to feel like it can breathe, instead I simply use the Collection Cover Up Stick in shade #01 'Light Translucent'. It gives a nice amount of coverage without being too heavy on my skin. 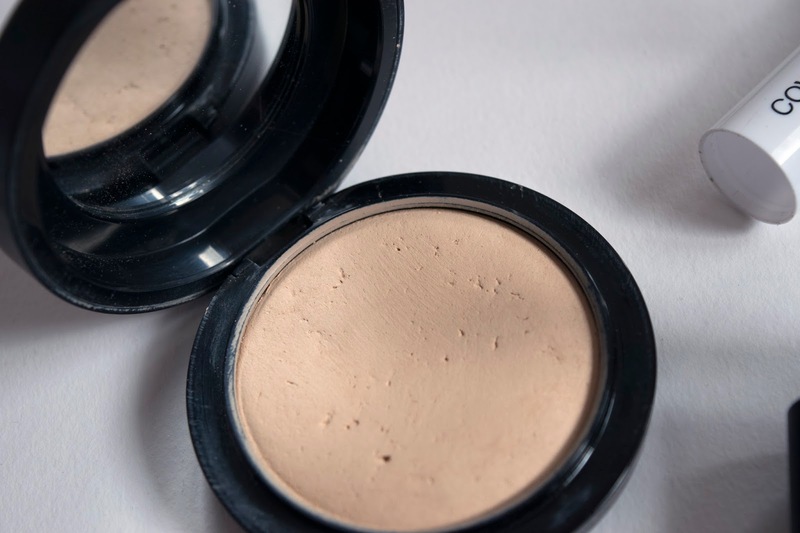 After applying that I use my MAC Mineralize SkinFinish Powder in 'Light Plus'. This is fast becoming my new favourite powder foundation despite the price tag. 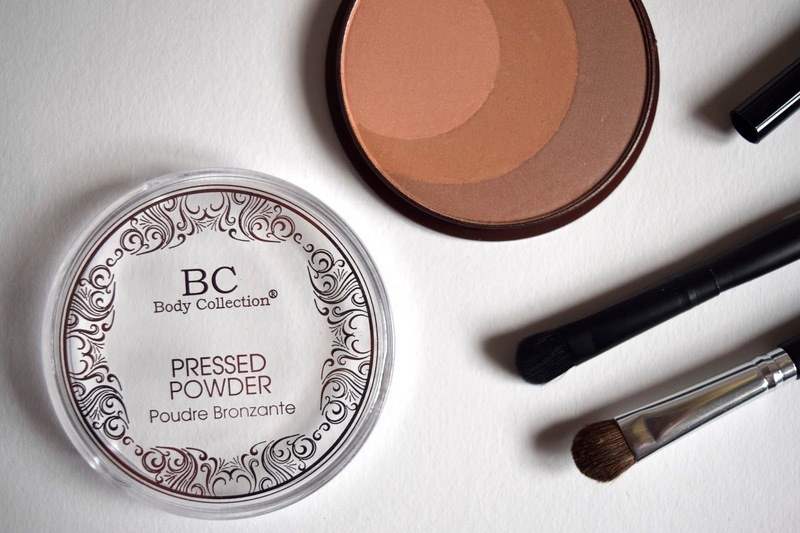 To give my face a bit more definition I contour slightly with this dirt cheap Body Collection Pressed Powder Bronzer. You might have already seen this product in my latest haul post as I only bought it last week but I already really like it. It's a very subtle bronzer that's easy to build up and blends in well. I've already managed to drop it and crack the lid but despite some slight crumbling the product itself is holding up pretty well. 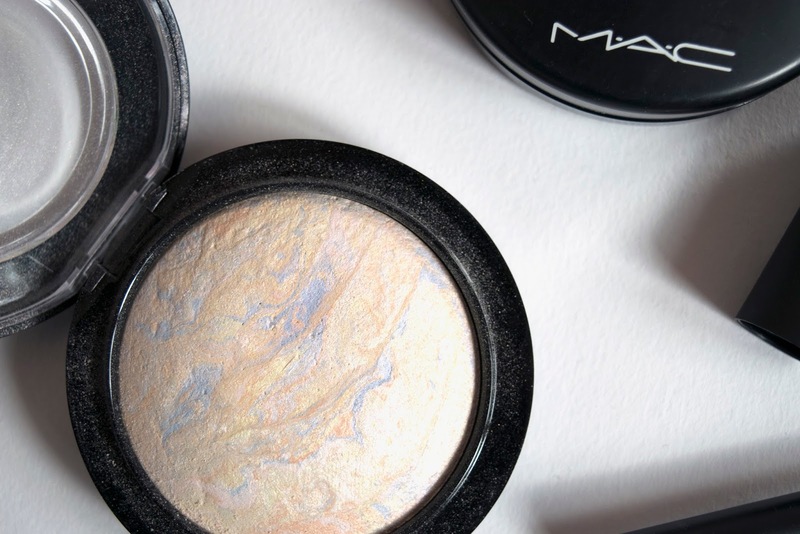 To highlight I've been using this MAC Highlighter in shade 'Lightscapade'. I picked it up at the airport a few weeks ago and I've been head over heels for it ever since. I think its quite pricey, coming in at £20 without tax but I've never seen a highlighter with the gorgeous pastel colours that this one has. On my eyes I'm wearing the shade 'Baby' from the Urban Decay Gwen Stefani Palette which is without a doubt my favourite ever eyeshadow palette. Its another pricey product but one I'm so glad I forked out for! 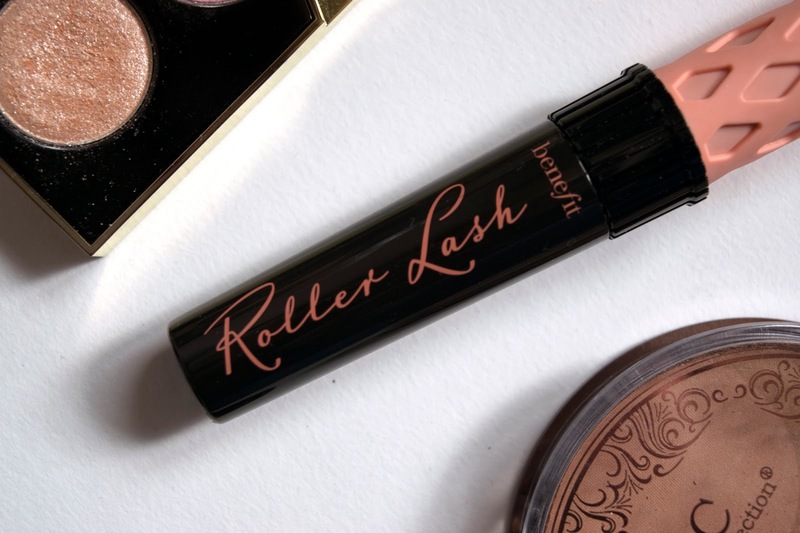 The mascara I'm wearing is another favourite, the Benefit Roller Lash. I've been using it for around a year now and its the best mascara I've ever tried, however I am tempted to test out They're Real Mascara when I finish this. To top my eyes off I've used the Cat Von D Tattoo Liner that I picked up from Barcelona. I'd heard nothing but good things about it online and it really does live up to the hype. I've only really used budget eyeliner pens up until now but I wouldn't hesitate to pick this one up again! 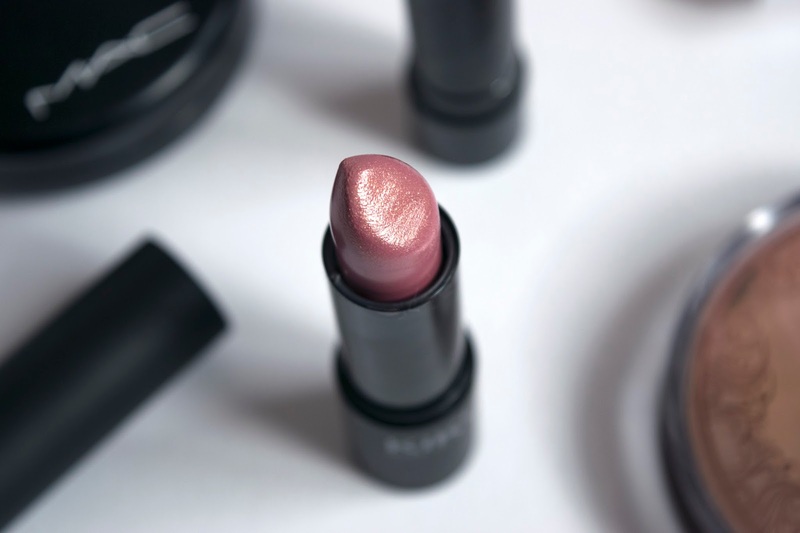 To complete the look I'm wearing another brand new purchase, the KIKO Smart Lipstick in shade #917 'Mauve Pink'. This is the first thing I've ever bought from KIKO and I'm honestly really impressed. Its a pretty glittery pink colour thats a bit different to my usual matte nudes and I'm so glad I decided to try something new. Although it doesn't having the staying power of my usual MAC lippies, it does feel incredible on my lips and the colour is super vivid considering its a cheaper product! Have you tried any of these products? Tell me what you thought! Its been bloody ages since I did any sort of haul post on here and I'm so glad to be able to show you guys some new bits. Between saving for Barcelona and putting money away to move out, there hasn't really been a lot of left over cash for treats. Now my holiday is a distant memory and we've almost hit our goal so I wanted pick myself some presents up! The first thing I grabbed whilst out shopping yesterday was this gorgeous NYX Eyeshadow in shade #53 Zen. 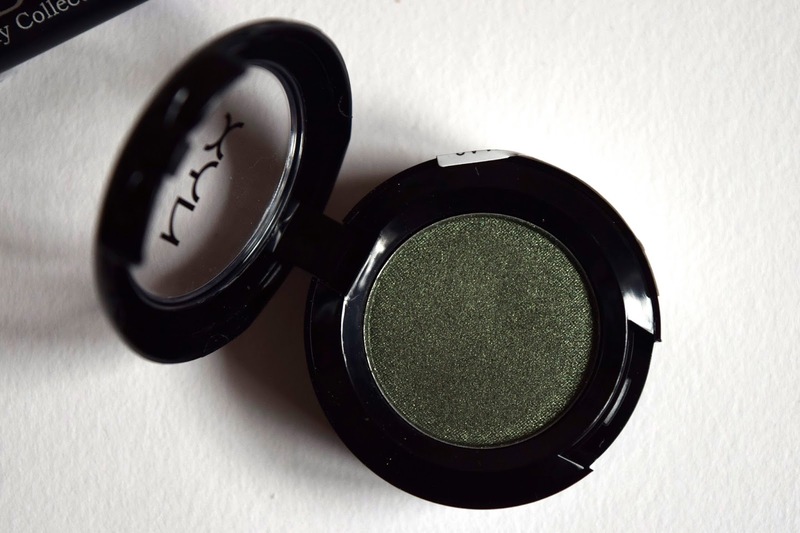 NYX is a brand I've always heard great things about but I've never actually tried for myself, so when I saw this amazing Khaki Green beauty for just £3.50 I had to give it a go. I have't tested it out yet but I'm super excited to smother my eyelids with its green goodness. After working my way around the NYX counter I soon found after product to fall in love with. 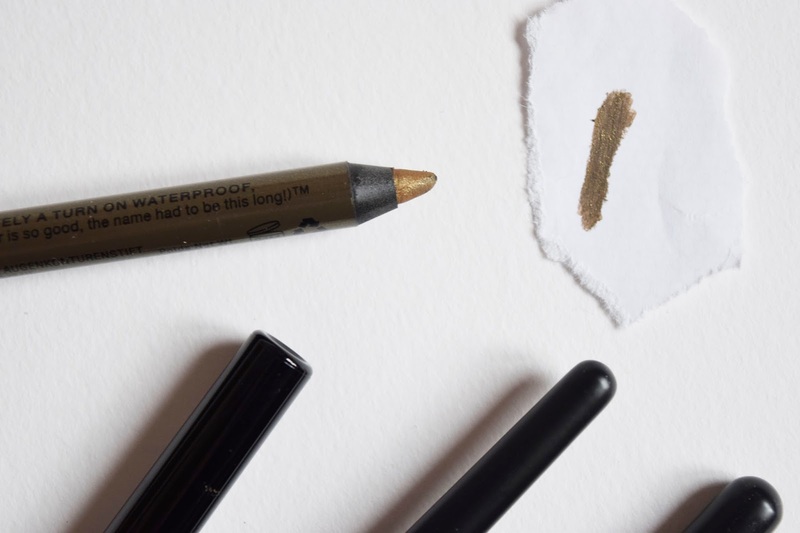 This NYX Eyeliner in shade #05 Golden Olive is what dreams are made of. I do think its on the pricier side of drugstore makeup coming in at £5 but its by no means high end. 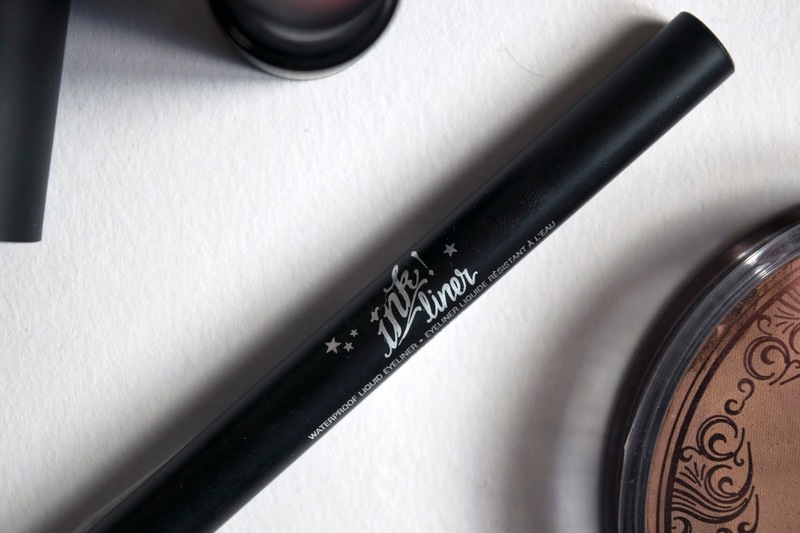 I've never seen an eyeliner in this shade before and I'm really hoping it lives up to my expectations! After leaving Boots I had to pop into Bodycare to pick up one of my all time favourite makeup brushes. 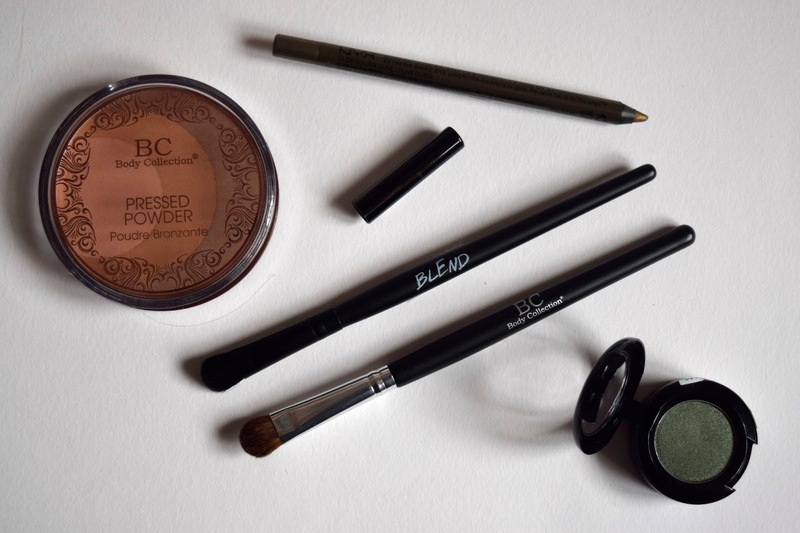 I usually fork out between £5 - £10 on a decent eyeshadow brush but I've discovered an amazing range in Bodycare that don't seem to go over a couple of pounds. 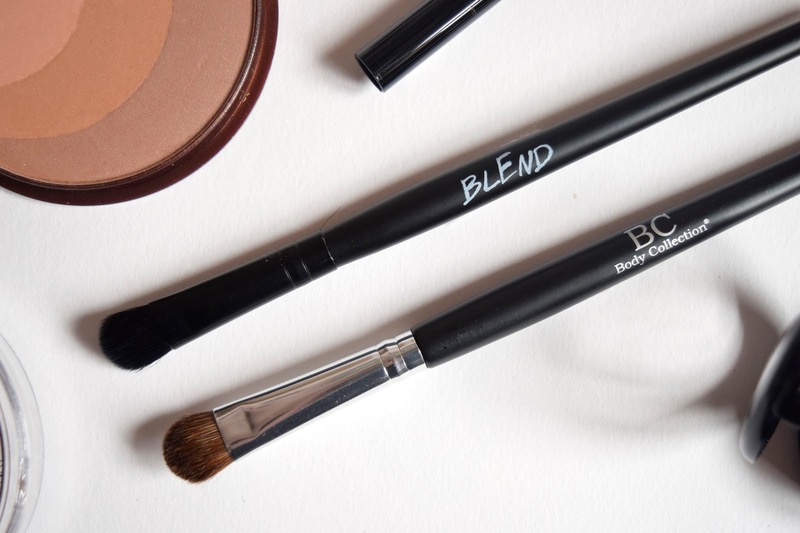 I picked up my usual Blend Brush for £1.49 and another similar brush from the Body Collection for just £1.19! Last week I invested in the most gorgeous MAC Highlighter from the Airport (Haul vid soon I promise!) and I really wanted a new bronzer to go with it. 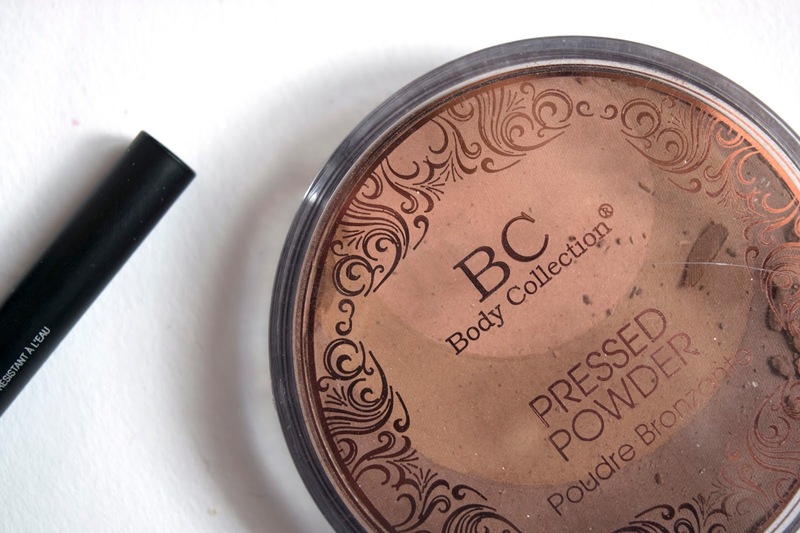 Now this little Body Collection Pressed Powder Bronzer won't be MAC quality but for just £1.50 I was willing to give it a go. It's not too dark and has a subtle shimmer too which I love. I will definitely be reviewing this as I'm really interested to see how good a cheap little bronzer really can be! So that was everything I picked up last week whilst doing a bit of shopping after college. I swear studying next to a shopping centre will be the death of me! Do you have any of these products? What did you think of them? 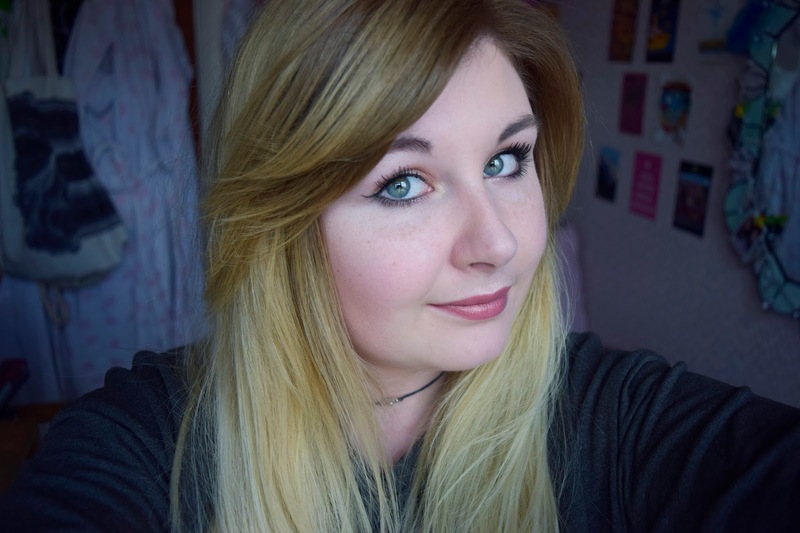 So I'm back again with another monthly beauty favourites post and honestly I'm running out of things to talk about! I haven't really picked up anything new lately and its been like that since Christmas so I'm thinking of retiring my favourites posts. I might go back to just reviewing products as and when I use them because I feel like that might be more interesting? Let me know what you guys think either way! 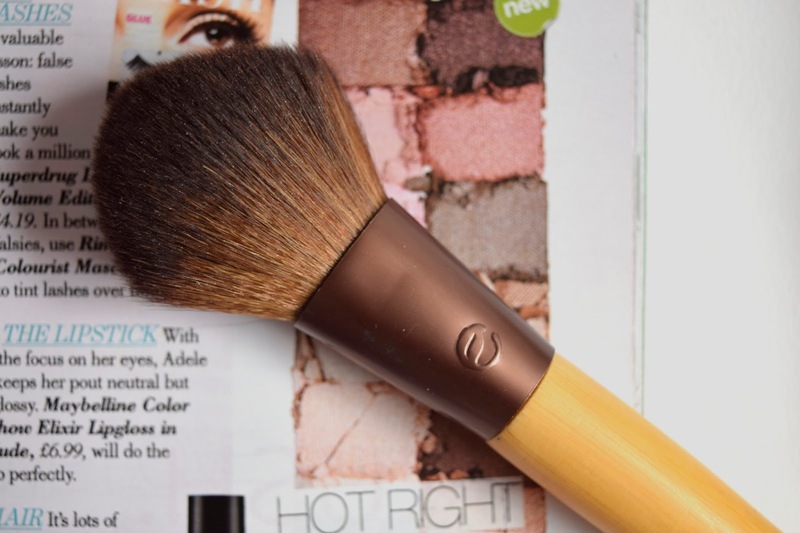 The first product I want to talk about is this Eco Tools Precision Blush Brush. This makeup brush which retails at around £8 is perfect for either blusher, bronzer or highlighter. 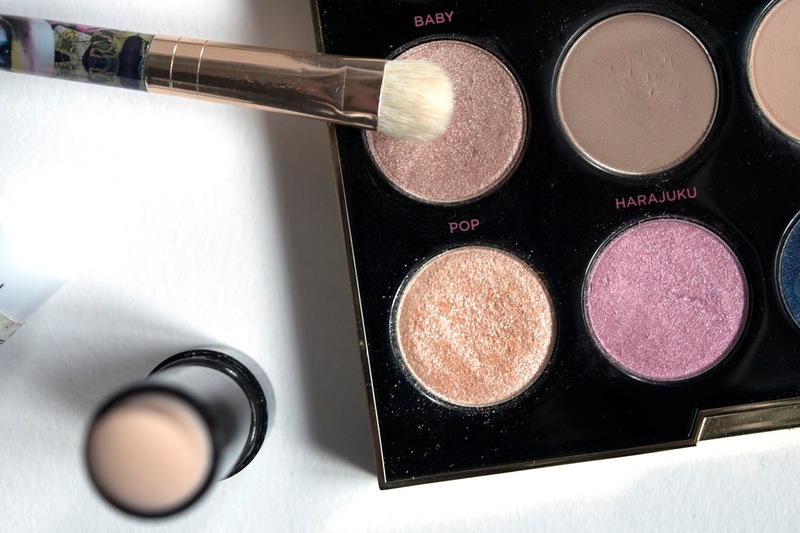 I use it to apply a nice dusting of highlighter at the top of my cheekbones, on my forehead, on my chin, down my nose and on my cupids bow to give my face a shimmery glow. The bristles are very soft but at the same time pick up a good amount of product and make it really easy to blend powders into the skin. I received this Parlor Sea Salt Spray around 6 months ago in a Birch Box but I've only recently got around to really using it. I can't believe its took so long for me to pick up a salt spray as I love the volume and hold you get from using one. This little bottle really does make my hair feel twice as big and it also helps to encourage subtle waves even with flat hair. Although I haven't used it yet on curled hair I can only imagine the gorgeous beach waves I would get after spraying this all over. I do think the full sized product is very expensive however so I might have to find a cheaper alternative when this runs out. Where do I even start with this product? This little bottle of Soap & glory Deep Cleansing Milk is honestly the stuff of dreams. I've been using this since Christmas and it has completely replaced my way more expensive Trilogy Cleansing Balm. 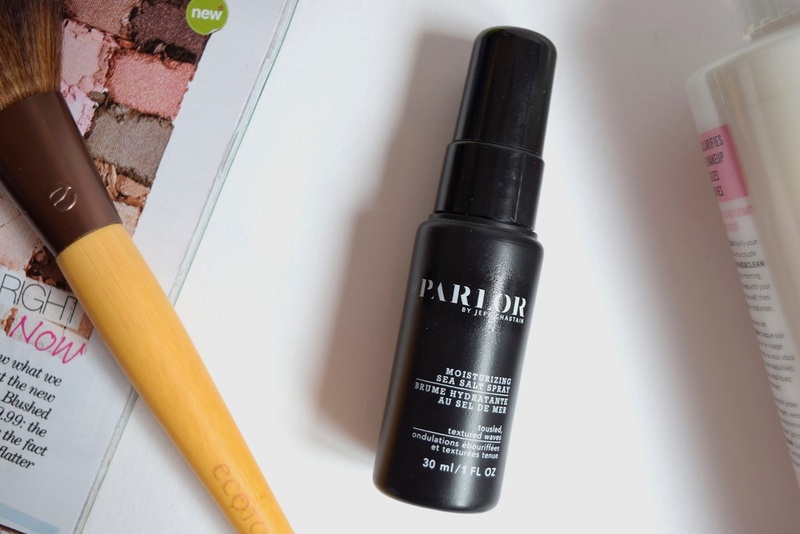 Although this cleanser is on the more budget side of things it works incredibly well and easily removes my stubborn Roller Lash mascara, which can be a bit of a bugger to budge! This product also smells amazing and doesn't even sting when I accidentally get it in my eyes (this happens more than I would like to admit). So Those were my March beauty favourites! I'd love to hear about the products you guys are loving this month! I'd also like to know if I should keep my monthly favourites or should I just go back to my old ways and review products as I try them out? Seriously how bloody fast has March gone?! It's basically summer now, not that I'm complaining, I just can't believe that we're almost half way through the year! I'm super excited for the warm weather to come back and I'm already lusting over holiday clothes. I'm actually going to Barcelona next week and although it probably won't be that warm, I'm taking some summery pieces just in case. I did hope to pick up a few of these gorgeous items before jetting off but I'm having my hair done tomorrow and that has eaten up any budget I would have had, so they will have to remain on my wishlist a little while longer. Right now I've teamed up with www.coconut-lane.com to give you guys 20% off everything on the site if you use the discount code GRACEBEE20 so don't forget to use that code at that checkout!